Ezetimibe in the balance: can cholesterol-lowering drugs alone be an effective therapy for NAFLD? Non-alcoholic fatty liver disease (NAFLD) affects 30% of the general adult population and 70–80% of diabetic and obese patients . NAFLD confers a 1.8-fold higher mortality, largely accounted for by liver-related complications occurring in non-alcoholic steatohepatitis (NASH), the progressive form of NAFLD; accordingly, the frequency of NASH as the primary indication for liver transplantation increased from 1.2% to 9.7% in the last decade, becoming the third most common indication for liver transplantation in Western countries . In addition to liver-related complications, NAFLD is also an emerging risk factor for diabetes and cardiovascular disease . There is no established treatment for NASH: lifestyle-induced weight loss is effective in less than 50% of individuals and the long-term safety of pioglitazone and vitamin E, suggested as possible therapeutic options by current guidelines , is far from being demonstrated; furthermore, there is no established treatment able to reverse hepatic fibrosis, the strongest predictor of future development of cirrhosis . In 32 biopsy-diagnosed NAFLD patients, treatment for 6 months with the Niemann–Pick C1-like 1 (NPC1L1) inhibitor ezetimibe ameliorated histological features of fibrosis and hepatocyte ballooning, while there was no significant difference in steatosis, inflammation or NAFLD activity score (NAS) compared with controls (see electronic supplementary material [ESM] Table 2 of the Takeshita et al article ). Ezetimibe treatment was associated with an increase in HbA1c and a worsening in whole-body, muscle and adipose tissue insulin sensitivity (the latter with borderline significance), while plasma pro-/anti-inflammatory markers and cytokines, including C-reactive protein, TNF-α, leptin, plasminogen activator inhibitor (PAI)-1 and adiponectin were unaffected by treatment (Table 2 of the article ). Ezetimibe treatment was associated with hepatic downregulation of genes involved in skeletal muscle development, cell adhesion and long chain NEFA β-oxidation (including the rate-limiting enzyme, carnitine palmitoyltransferase 1A) and with upregulation of genes involved in cholesterol biosynthesis (including sterol regulatory binding factor [SREBF]-2) and immune response/phagocytosis (Table 3 of the article ). These changes were accompanied by a significant increase in the hepatic fraction of several saturated fatty acids, including margaric (C17:0) and stearic (C18:0) acids (Table 6 of the article ). What messages can be drawn from this small, proof-of-concept study? The first, clinically relevant message is that inhibition of cholesterol absorption may ameliorate hepatic fibrosis in NASH, independently of any improvement in systemic inflammation or insulin sensitivity. A major limitation of this trial is the small study size and, more importantly, the limited number of participants with the progressive form of NAFLD, NASH (eight patients with NASH of 23 NAFLD patients overall). This implies that, when we analyse the effect of treatment as a dichotomous variable (improvement vs no improvement in fibrosis), there is no significant difference between arms (4/16 patients with improved fibrosis stage following ezetimibe compared with 1/12 in controls, p = 0.136 with χ2 test). While the impact on liver fibrosis needs further confirmation in larger studies, given the small number of patients included, the findings of this trial corroborate recent results from experimental models, suggesting that hepatic accumulation of non-triacylglycerol toxic lipid species (non-esterified cholesterol, saturated fatty acids, ceramides and diacylglycerols) triggers endoplasmic reticulum stress, mitochondrial dysfunction and oxidative stress, promoting liver injury, steatohepatitis and fibrosis [5, 7, 8, 9, 10]. Several putative mechanisms linking cholesterol accumulation to hepatic stellate cell (HSC) activation and fibrogenesis have been demonstrated experimentally and reviewed elsewhere , including enhanced toll-like receptor (TLR)-4 pathway activation, which sensitises HSCs to the key fibrogenic factor transforming growth factor (TGF)-β1 , and reduces AMP-activated protein kinase-α (AMPK) activation  (Fig. 1). On this premise, whole-body and hepatic cholesterol pool depletion through inhibition of NPC1L1 in enterocytes and hepatocytes may partly explain the benefits for liver fibrosis observed in this study. However, several issues regarding the interaction between cholesterol metabolism and hepatic fibrosis remain to be elucidated, and offer potential therapeutic targets. A major issue is that HSCs lack cholesterol biosynthetic ability and NPC1L1 has not been demonstrated in HSCs, which acquire cholesterol mainly through uptake of circulating LDLs and oxidised LDLs (oxLDLs). In NASH, the uptake of circulating LDLs and oxLDLs by HSCs is increased despite intracellular cholesterol accumulation, due to disruption of physiological feedback [7, 12]. Thus, combined NPC1L1 and LDL uptake inhibition may offer additive benefits for hepatic fibrosis in NASH . As well as evaluating the effects of ezetimibe on liver fibrosis, this RCT also disclosed the shortcomings of a strategy using cholesterol absorption inhibition as the only therapeutic tool in NAFLD treatment: HbA1c and insulin resistance increased, hepatic steatosis was unaffected, and systemic proinflammatory and oxidative markers did not change or even tended to increase (TNF-α, leptin, 8-isoprostanes) with ezetimibe treatment. Most of these consequences could be anticipated by understanding the changes evoked by inhibition of cholesterol uptake in different cell types, including enterocytes, hepatocytes and adipocytes, and could be adequately prevented by proper combination therapy. The inhibition of cholesterol uptake evokes a compensatory increase in hepatic cholesterol synthesis, driven by upregulation of the gene encoding sterol regulatory element binding factor (SREBF)-2. In addition to its main product (the key regulatory nuclear transcription factor sterol regulatory element binding protein [SREBP]-2), the SREBF2 locus also generates the microRNA miRNA-33a, which is processed from an intron within the SREBF2 primary transcript : miRNA-33a inhibits ATP-binding cassette transporter A1 (ABCA1)-mediated cholesterol export and reduces the expression of several enzymes involved in mitochondrial fatty acid β-oxidation, thereby further promoting cellular cholesterol retention and NEFA accumulation (Fig. 1). While physiological activation of SREBP-2/miRNA33a under low cellular cholesterol conditions increases the availability of cholesterol and fatty acids to promote storage of neutral cholesteryl esters, in patients with NASH this physiological feedback is disrupted and the hepatic SREBP-2/miRNA33a axis is inappropriately activated despite cellular cholesterol overload , due to several reasons: direct stimulatory effects of hyperinsulinaemia [5, 15] and proinflammatory cytokines [5, 16], downregulation of hepatic miRNA122, and functional genetic polymorphisms in SREBF-2  (Fig. 1). The net result is a cellular toxic non-esterified cholesterol and NEFA overload, promoting steatosis and insulin resistance in the liver, a proinflammatory pattern of adipokine secretion and enhanced release of toxic NEFA by insulin-resistant adipocytes (alterations collectively referred to as ‘adipocyte dysfunction’) . Therefore, it is not surprising that the lack of a consistent benefit of ezetimibe on inflammation, insulin resistance and glucose homeostasis observed in this study  has been replicated in clinical and experimental contexts other than NAFLD [19, 20, 21, 22], suggesting that other therapeutic approaches may be usefully combined with ezetimibe. The combination of ezetimibe with statins ensures a more consistent cellular cholesterol depletion, further reducing cholesterol toxicity, and it will be important to analyse the metabolic and liver-related effects of ezetimibe taken together with simvastatin in the NAFLD subgroup of the IMProved Reduction of Outcomes: Vytorin Efficacy International Trial (IMPROVE-IT) . However, aggressive cholesterol reduction may not relieve lipotoxic NEFA accumulation, which results from reduced NEFA β-oxidation (induced by miRNA33a activation) and from stimulated de novo lipogenesis through liver X receptor (LXR)-α/SREBP-1c axis activation: consistently, neither atorvastatin nor ezetimibe, nor their combination, improved hepatic saturated fatty acid infiltration, insulin resistance or plasma adiponectin levels in an experimental model of NASH . Several other therapeutic strategies may be usefully combined with cholesterol inhibitors to enhance cholesterol unloading and improve inflammatory/metabolic variables in NAFLD. The role of dietary caloric restriction and weight loss cannot be overemphasised. while excessive cholesterol intake has also been documented in non-obese NAFLD patients , resembling the much higher dietary cholesterol intake (0.2–1.25%) adopted in most experimental animal models, excessive caloric and carbohydrate consumption is common in overweight and obese NAFLD patients, which represent the vast majority of this population. 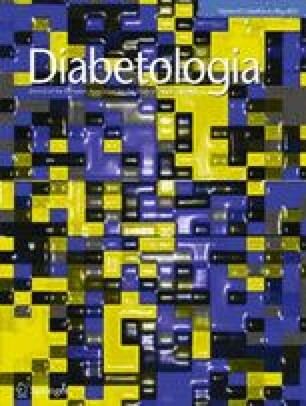 Excessive dietary intake of simple carbohydrates, especially fructose, may play an important role in the pathogenesis of NAFLD-associated abnormalities [26, 27]: consistently, ezetimibe did not prevent hepatic and metabolic abnormalities induced by a high fructose diet, which triggered intestinal and hepatic de novo lipogenesis and insulin resistance independently of the cholesterol metabolic pathway . The importance of caloric restriction and weight loss as an adjunct to ezetimibe emerges when comparing the study by Takeshita et al  with the RCT carried out by Chan et al : while in the former there was no caloric restriction or weight loss in either arm, the addition of a weight-loss regimen to ezetimibe treatment significantly improved hepatic steatosis, VLDL secretion rate and systemic inflammatory markers/cytokines compared with either weight loss or ezetimibe alone. Therefore, the synergism of caloric restriction and weight loss with cholesterol depletion could potentially fully reverse NASH-related hepatic, inflammatory and metabolic abnormalities. Other synergisms awaiting exploration in human trials include cholesterol depletion plus gut microbiota modulation, as it has been shown that cholesterol overload sensitises HSCs to the effect of lipopolysaccharide (LPS)/TLR-4 axis activation; and cholesterol-lowering drugs plus acarbose/glucagon-like peptide (GLP)-1 analogues, since ezetimibe stimulates GLP-1 secretion by enterochromaffin cells and, conversely, GLP-1 reduced hepatic cholesterol synthesis in experimental models [30, 31, 32]. Taken together, these issues suggest that cholesterol depletion may be a promising tool for reversing hepatic fibrosis in NASH, but current lipid-lowering therapies may be insufficient to improve the whole cardio-metabolic profile of these patients, who are at increased risk of cardio-metabolic as well as of liver-related complications . Conversely, cholesterol modulation may be a potent adjunct to other therapeutic measures that ameliorate glucose homeostasis, insulin resistance and systemic inflammation but have failed to improve hepatic fibrosis to date (Table 1). While the efficacy of these drugs warrants evaluation in large RCTs, future strategies targeting nuclear regulators of cholesterol metabolism, including farnesoid X receptor (FXR), SREBP-2 and miRNA22a, are currently being evaluated in preclinical studies or phase II clinical trials and promise to open up new avenues for the development of therapeutics for NASH and associated disorders . GM was the sole contributor to this article.